Oh my — two black eyes! The first stop on our book tour is Prescott, the one-time territorial capital of Arizona. It’s got a bustling central square with lots of bars and restaurants; a row of antiques shops, many selling cowboy kitsch, which I love; loads of Victorian houses, of which I’m less enamored but which look charming on postcards; several fine small museums; and lots of distinctive hiking trails. And it sits at more than 5,300 feet, making it hella cooler than Tucson, where the temps hover in the 100° F range at this time of year. I wrote much more about Prescott and with far more precision in Arizona for Dummies, which I authored from scratch, and Fodor’s Arizona, which I edited and updated for many years. 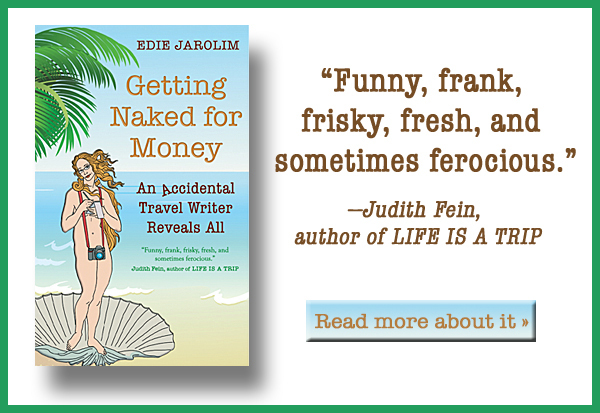 I’ll be reading the sections of GETTING NAKED FOR MONEY that deal with the writing and editing of those books, and also the story of how I got arrested in nearby Flagstaff (if you are actually reading this post, this phrase should have grabbed your attention). 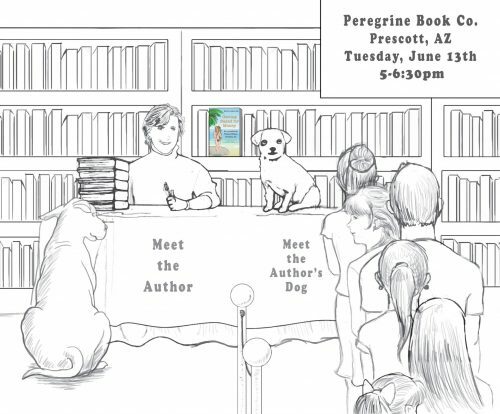 Peregrine Book Company, where that reading will take place at 5pm on June 13, is the largest independent bookstore in Prescott. I just finished Further Out Than You Thought by Michaela Carter, one of the bookstore’s owners, and was blown away by it. That makes getting a reading at Peregrine doubly exciting for me — whether or not she shows up. A few of my favorite things in life along with good books: good food, craft beer, craft cocktails, and, of course, dogs. I was thrilled to discover a place in Prescott that combines all four — and, yes, I mean food for dogs too — and that gets rave reviews. Marrow burgers, duck fat fries, bread pudding…Madeleine and I will be going there after the reading to continue the conversation. With our mouths full. 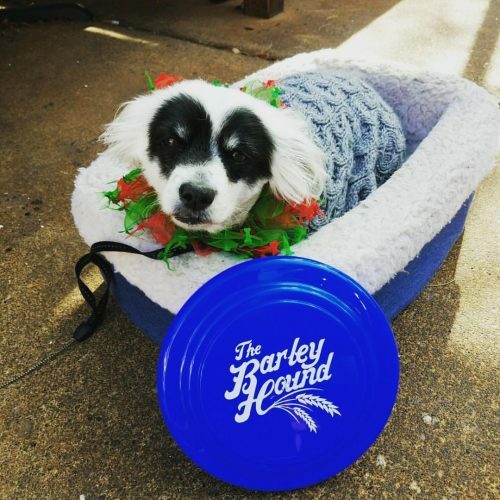 First, there is a small menu for dogs — steak and rice, chicken and rice — and the food is served on a frisbee with the Barley Hound logo which you get to take home. Second: Whenever people ask me if Madeleine has been in a fight because of her black eye, I say, “You should see the other guy.” That dog IS the other guy. Thank you! I literally didn’t sleep last night. But Madeleine’s cuteness is definitely a comfort. No matter how I mess up, there’ll be Madeleine to look at.